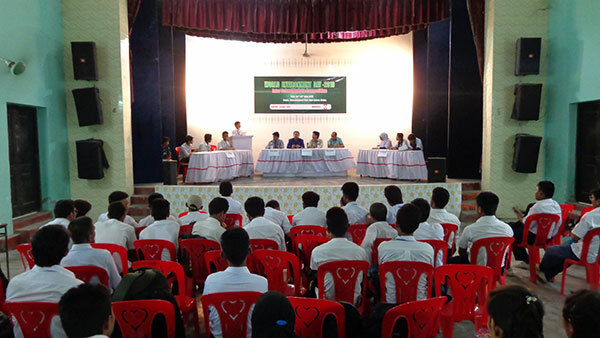 The Hongkong and Shanghai Banking Corporation Limited (HSBC) Bangladesh and its’ implementation partner Young Power In Social Action (YPSA) organised a Inter School Debate Competition on ‘World Environment Day 2016’ in Dhaka. The program was organised under the project titled ‘’Community Engagement In Environment Protection Initiatives’’. 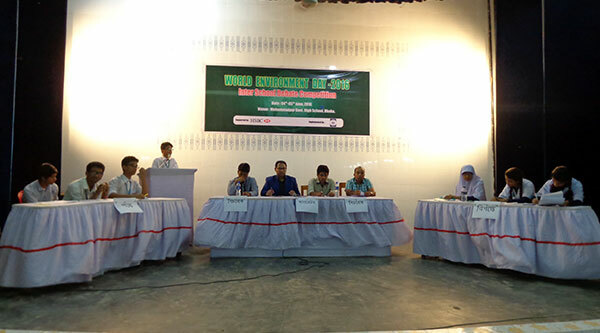 Five schools of Dhaka North City Corporation were participated in the debate competition. The first round and the second round held on 4th June and the final round held on 5th June, 2016. Hassan Ahamed Chowdhury Kiron, Chairman, Debate For Democracy was present as the Chief Guest and act as a Moderator of the debate program.The program was conducted by a team of ‘Dhaka University Debating Society’. The program was attended by Md. Arifur Rahaman, Chief Executive, YPSA, Abul Kalam Mostafa, Headmaster of Mohammadpur Govt. High School, Nazmul Haider, Program Manager, YPSA, students of the participating schools, parents and teachers. The program aims to mobilize young force at school level for involving them in the promotion of sustainable environment protection practice. The environment issue was selected for the debate topic so that students would acquire knowledge and would become aware on it and their leadership quality would also be enhanced.